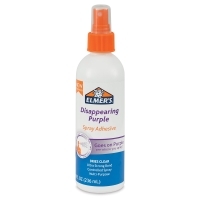 Elmer’s Disappearing Purple Spray Adhesive goes on purple — so you can see where you're spraying! — and then dries clear. Use the pump-action spray bottle to precisely apply the strong multi-purpose adhesive. The formula creates a permanent bond, making it great for a variety of projects and materials. 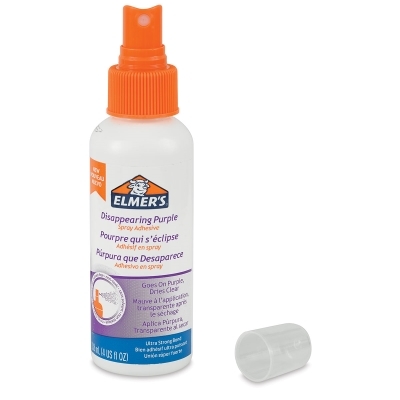 Kid-friendly Elmer's Disappearing Purple Spray Adhesive is photo-safe, non-toxic, and solvent-free.